Qetesh was born in Second Life in 2007 when her real life avatar decided to name his Second Life character Vala, after Vala Mal Doran from Stargate SG-1. As Vala was once posessed by the Goa'uld Qetesh in the show, the Second Life character of Vala once more became the host for the Goa'uld. A neko half-demon with grey skin, red cat eyes, bat-like wings, and simple black horns between her cat ears. Friend: Are you a fan of My Little Pony by any chance? Friend: But do you like it at all? Friend: Aww, could you do me a small favour? Friend: Try and watch it? Just to see if you like it? I did her that favor. I watched the first episode on YouTube... It was weird. It was pink. It was silly. And it was awesome! I am not sure anymore what exactly got me hooked, but a few days later I had watched the complete first season. I started looking for fan art and sucked in everything I found, and then I began waiting for the second season with my friend. Soon after that, I began to classify myself as a Brony. Though back to the history of Qetesh! That's why you're here anyway. I started to see ponies in Second Life. At first just a few, then more and more. I really liked them, so I decided to ponify myself. 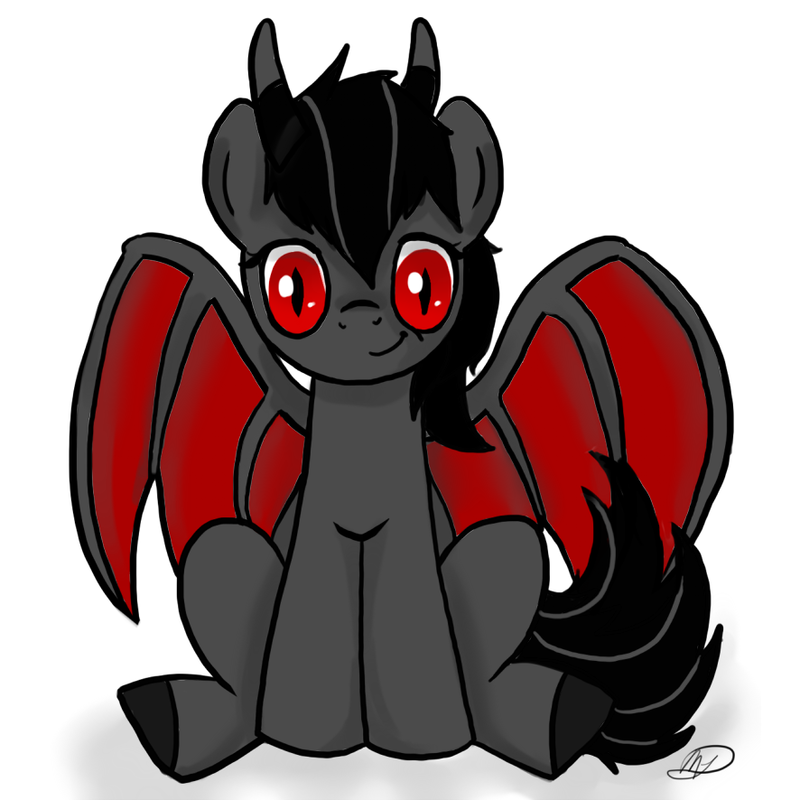 It took a while to find the right avatar and mod it in order to turn it into a pony version of Qetesh. 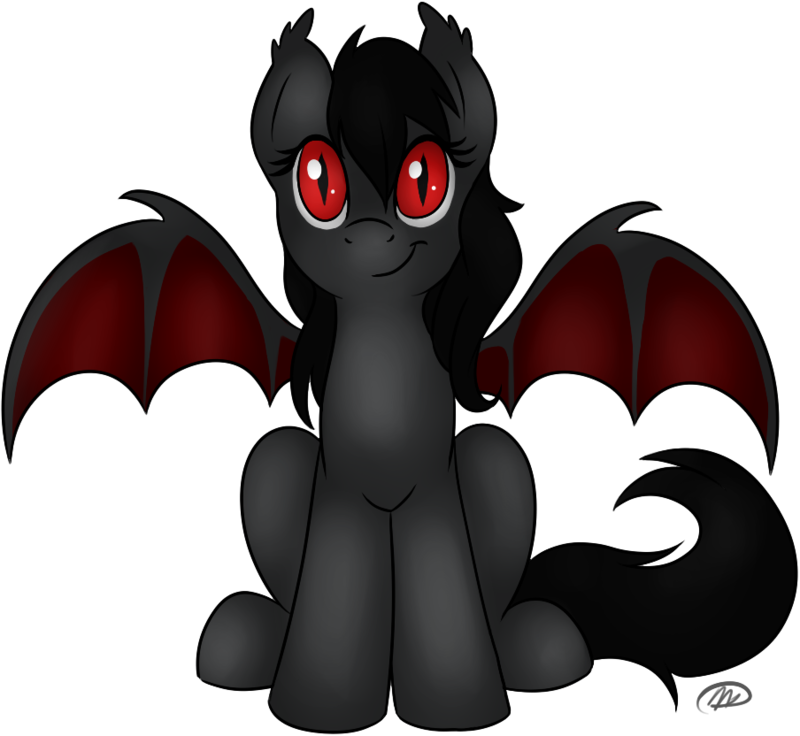 A demon mare with a gray coat, red cat eyes, bat-like wings, and simple black horns between her pony ears. Sound familiar? Basically she was really just a ponified version of my former avatar, and over the course of 2 years that more and more became the new Qetesh. After a while I wanted more than just the avatar in SL so I made a simple design draft in the Ponycreator and asked MeggChan who I met on Google+, if she could draw Qetesh for me. She since then made most of the art that exists of Qetesh. At some point I suddenly had several pictures and a huge, lifesize plushy made by Little Wolf Studios which I got from Suzan at BronyCon 2013.